Are you looking for unique food gifts for this holiday season? Something you know the “hard to please” people on your list will enjoy. Something surprising, with an interesting backstory? You are in luck. Over the course of our travels at Authentic Food Quest to South America, Southeast Asia, France and certainly in the U.S. we have picked up unique local food specialties that are at deeply rooted to the cuisine and local culture. On the Authentic Food Quest Store, you will find several local products we’ve discovered on our travels. These unique products have significant cultural importance and they make for unique food gifts. 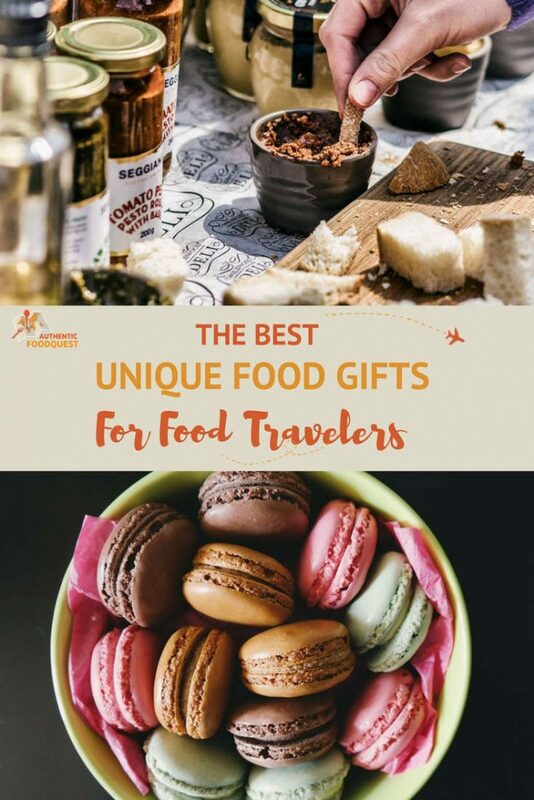 So, for those hard to please people on your holiday list, you’re sure to find unique food gifts and experiences, that will be sure to please. Research has long shown that experiences bring people more happiness than “things”. Experiences shape who we are and who we become. I’m sure you know from your own experience that every travel experience, surprising encounters or bonding moments with friends, add meaningful chapters in your life. The same is true with food. With exposure to different types of cuisines, new ingredients, and surprising flavors, you create new and enriching food experiences. 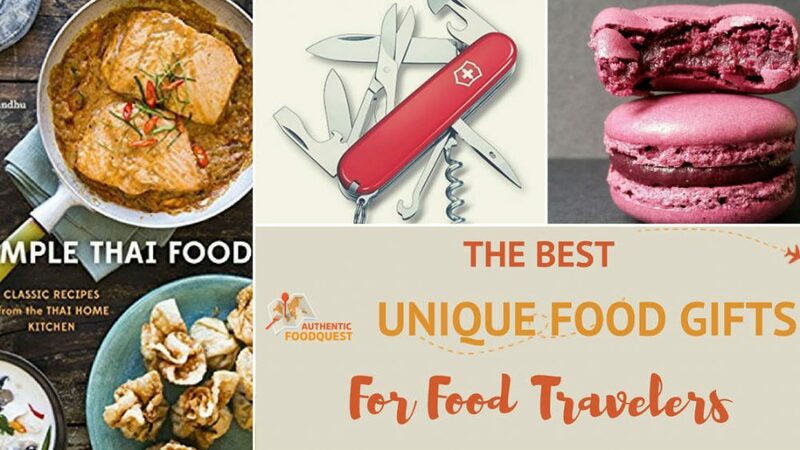 For authentic food experiences, give the gift of unique and local food experiences from any of these Authentic Food Quest partners. Visit.org offers immersive and impactful travel experiences with do-good organizations worldwide. Travelers can book authentic experience and 100% of the hosts’ revenue is invested back into the local communities. You can take cooking classes anywhere in the world while helping the local communities. You can book tours with Context Travels in Europe, Asia, North America and South America. This is the kind of gift that is intellectually enriching and deeply fascinating. If South America is on your travel plans, go deeper with a unique experience from Daytours4u. Offering you the best of Latin America, you will discover the authentic, surprising and sensual elements of the continent. Daytours4u offers authentic culinary experiences in Argentina, Uruguay, Chile, Peru, Colombia, and Brazil. Experience the fullest of Latin America with unique authentic experiences with Daytours4u. Spices deliver more than just flavors to food. Most are rich in nutrients and full of health benefits. Food lovers on your holiday list will enjoy these good-for-you, unique food gifts. Kampot Pepper from Cambodia is the World’s Best Pepper. 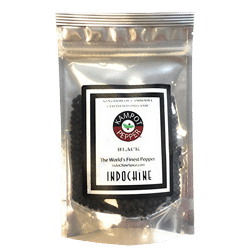 Rich in potassium, pepper is full of antioxidant and promotes digestive tract health. Kampot pepper is currently trendy with chefs around the world and it makes a wonderful addition to your holiday list. 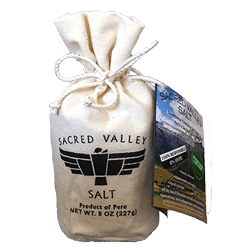 Maras Salt from the Sacred Valley in Peru is considered “rose colored gold.” Used by the Inca’s, this salt is mineral rich. It is recommended for people who suffer with from hypertension because it has low levels of sodium chloride. Maras Salt is favored by Peruvian chefs and adds the perfect touch to any dish. 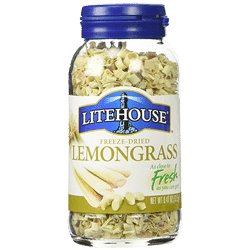 Lemongrass is an essential ingredient in Vietnamese cuisine. It’s vibrant flavors adds lemony flavors with hints of ginger to soups, poultry, seafood and meat dishes. The health benefits are numerous and include relief from stomach disorders, heals colds and flu, keeps the skin healthy and more. Add flavors and health benefits to your dishes this season. While chocolates are one of the most sought out treat of the Holidays, you might want to offer surprising local sweets from other countries. Not only will you please others, but you will get them to appreciate a new culinary destination. 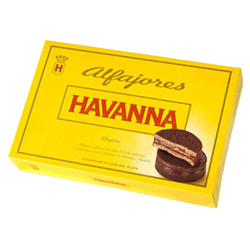 Give a taste of Argentina with the delicious Alfajores. Alfajores are succulent traditional Argentina cookies filled with dulce de leche. After your first bite, you’ll not be able to stop. These cookies are to die for. 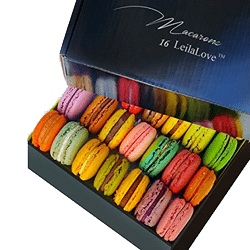 French Macarons are famous across borders. Macarons in France date back to the Middle Ages.These are almond based meringue cookies which are popular and are even gluten-free. Durian is known as the “King of Fruits” in Southeast Asia. While this fruit might be intimidating to eat by itself, try it as a cake in the form of a Durian Cake. These round stuffed cakes melt in the mouth. 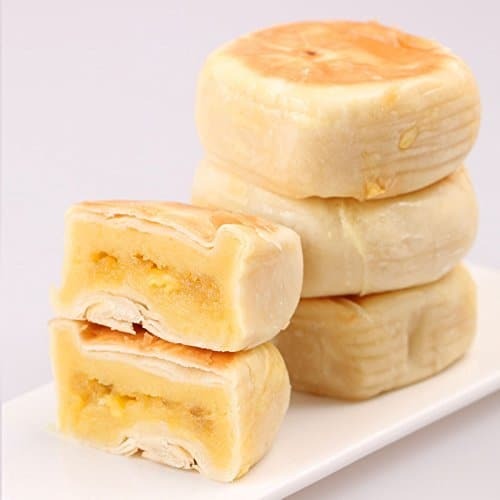 These cookies are filled with mung beans and the durian fruit, giving them a light and tasty flavor, to enjoy with coffee or tea. More than likely the people you are buying gifts for drink wine, coffee or a hot “coffee or tea substitute” like mate. Following are surprising local beverages that will not disappoint. 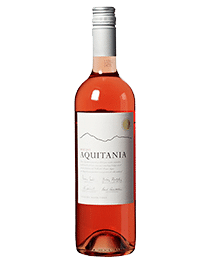 Aquitania Rosé from Chile– Most people think of France when they think of Rosé wine. Consider Chile instead. We visited Aquitania Wineries in Maipo Valley, Chile and discovered this amazing Chilean Rosé from a boutique French and Chilean owned winery. Tannat Wine (Red) from Uruguay – Uruguay, the smallest country in South America makes a superb red wine. 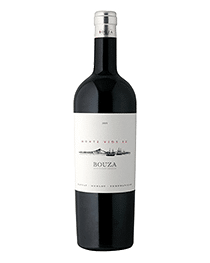 We were introduced to this bold wine at Bodega Bouza outside of Montevideo, the capital. Made from the signature grape of Uruguay, it is the perfect accompaniment to your holiday festivities. 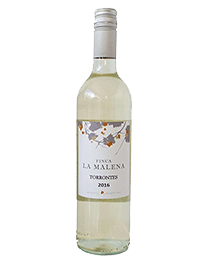 Torrontés White Wine from Argentina – Argentina is famous for its Malbec Wine. But did you know Argentina also makes a white wine? We discovered Torrontés wine and fell in love with its light and aromatic flavors. This is the perfect gift for white wine lovers. 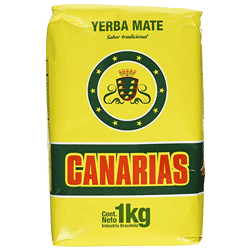 Mate has a long history in South America. In Argentina and Uruguay, it is not surprising to see people walking around with thermos flasks. The hot water in the flasks is to steep leaves of the yerba mate plant and drink it out of a dried calabash gourd. Mate is like coffee in that it has caffeine, it’s like tea because it is steeped in hot water. It is said to give the same amount of energy as a cup of coffee, without the jittery feeling that some people get from caffeine. This makes for a traditional and unique food gift from South America. Teh Tarik or Malaysian Pulled Tea is one of the most revered Malaysian drinks. It is much more than a simple cup of tea mixed with condensed milk. It is said be the national drink of Malaysia. The tea lovers on your list will enjoy discovering Teh Tarik. 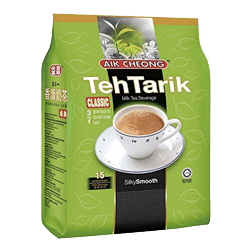 Surprise them with this traditional tea from Malaysia. If you have an Argentina lover or home cook on your holiday shopping list, give the gifts of food and travel. 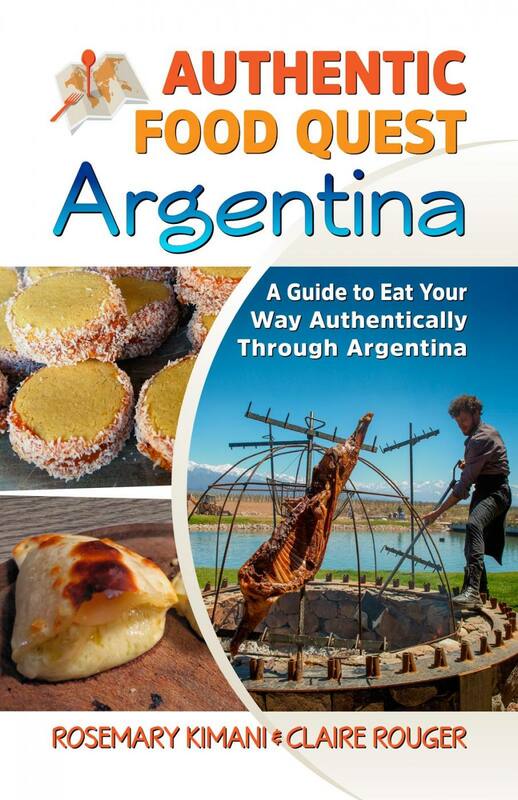 Authentic Food Quest Argentina – Available on Amazon and Barnes & Noble, this guidebook inspires intrepid and armchair travelers to savor their adventures in Argentina. 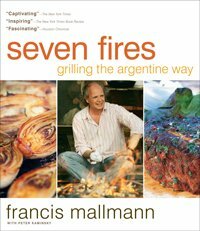 Seven Fires Grilling The Argentine Way by Francis Mallmann – Discover Argentine grilling techniques and cooking with Fire, from Argentina’s most famous chef. Thai food is a popular and flavorful cuisine that many enjoy. 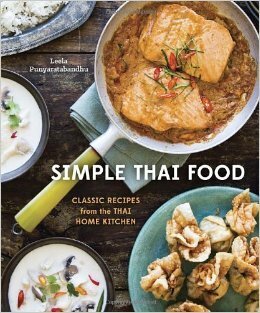 These simple recipes from the Thai home kitchen will help anyone easily make Thai food at home. 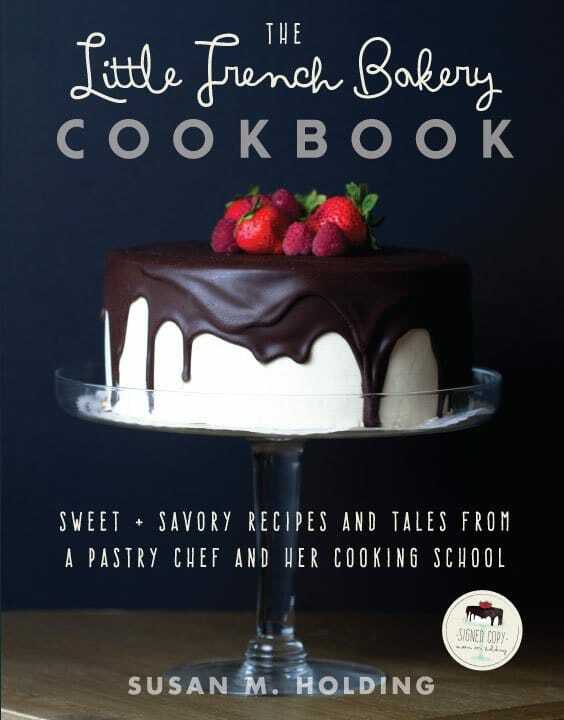 For the sweet lovers, consider The Little French Bakery Cookbook. With this easy to follow cookbook, learning how to make French bread, pastries, and tarts become simple. As an extra bonus, you get to taste delicious and memorable French treats. Traveling through food means you have to be prepared for the unexpected, at any moment. It may be as simple as having a pair of scissors easily accessible to cut open that package. Drinking water and staying hydrated goes hand in hand with eating the local delights. However, you need a solution if the water is not portable. Keeping your money and valuables safe as you navigate crowded markets or street festivals is an important consideration as well. 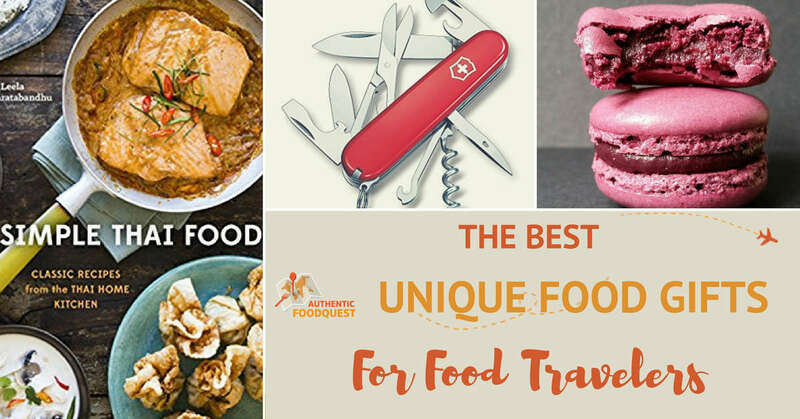 The unique food gifts below will help travelers make the most of the local food experiences. 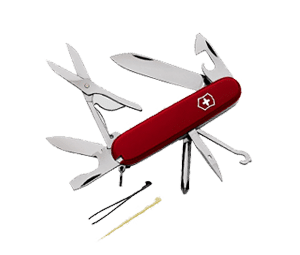 A Swiss Army Knife is incredibly useful to have while traveling. It can be handy in a variety of situations. It can be used as wine or beer opener, as can opener for an easy food fix, for scissors to cut open packages, and as a screwdriver to fix anything on the go and much more! At some travel destinations, finding potable water can be challenging. 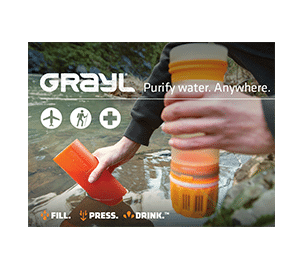 We found Grayl Bottles to be the best option to make water potable in a few seconds. It can be used in nature, to filter water from a stream or can be used to filter tap water that’s not drinkable. It doesn’t require batteries and it filters bacterias and microelements to keep the water safe under any circumstances. While traveling, keeping your valuables safe can be a concern. Check out the shirts and pants from Clever Travel Companion. With the secret pockets that are perfectly built for passports, phone or money, you can’t go wrong with pick-pocket proof clothing. Keep the food travelers in your life safe with the secretly hidden pockets of Clever Travel Companion clothes. For more gift ideas and stories behind the ingredients and products, visit Authentic Food Quest Store. Please note, we get a small commission from purchases made using our links at no additional cost to you. This helps us continue our quest for authentic food around the world. Thank you for your support! This is such a great niche for a travel company. I have a friend who likes to travel for the food and drink experiences. I do remember doing a cooking class in Vietnam and I loved it. I will definitely share this with my friend. That’s great to hear Nathalie. That’s awesome that you loved your cooking class in Vietnam, indeed a fun opportunity to learn about a new culture. Please do share the article with your friend. Thanks again!! A great round-up of food and drink – I have to say I buy salt when I travel and I am particularly intrigued by the Maras Salt which sounds quite amazing. Do you think I could justify a trip on the basis of needing to find out more about the salt? Brilliant gift ideas! It’s especially convenient to be able to order a unique food product and not have to deal with the customs requirements, oneself. Thanks Vanessa, so glad you enjoyed the article. Hope you found some ideas for everyone on your holiday list. Cheers. Loved reading these different Christmas gift ideas! Food & drink from around the world is a lovely idea, I know my friends and family would enjoy the wine and macaroons. Wow! This is another world entirely. I’ve not come across any of these stores and I think I’d do more justice to my stomach by visiting one of them. My stomach kept on singing as I read on. You are right Lydia, this list has been carefully curated from our travels and discoveries of the unique local foods. Glad you enjoyed the article. That’s awesome to read Zara. Where is your food tour? Do let us know how it goes. Cheers! These are all such fantastic gifts! I would love if someone gifted me cooking classes. Wouldn’t mind some French macarons and Argentinian wine either 😉 What a lovely list! Thanks, Shruti, we agree 100%, French macarons and Argentinian wines make the perfect gifts. How about you surprise someone with those gifts 🙂 Cheers. Lots of great gifting ideas here ladies. I really like the idea of offering food tours – experiences instead of things. Unique and healthy kampot pepper from Cambodia is a lovely idea. I’m currently living in Colombia and I realized how plentiful Tumeric is grown here! I brought my own, thinking I couldn’t buy it here. Bringing some back (and coffee) for Christmas gifts. Thanks Dorene, we really enjoyed the taste of Kampot pepper and wish we had brought some back with us. Coffee is a great gift, along with Tumeric. Happy holidays! Awesome Ryan, so glad you love the gift guide. Wow, what an amazing experience…we really wish we had the time to visit Kampot while in Cambodia. We certainly enjoyed the pepper in the dishes, but seeing how they grow is a totally different experience.Thanks again and Happy Holiday’s! I usually prefer offering experiences instead of material things and you gave me good tips on point #1. I need to Check Context Travelers for Food Tours in Paris, they look VERY interesting. Thanks! We certainly share the same point of view – experiences over material gifts!! Do check out Context Travels, for fun and informative tours. Happy holidays, Elisa. I’ve really been struggling to come up with gift ideas for some of my relatives. However, this sparked some new ideas! I love the idea of giving spices, especially something unique like your suggestions. Or I might pick up some of these for me… like the Torrontes. Yum! Awesome, Kate. Glad this article came in handy and that it sparked some ideas. That’s great to read. Yes, why not gift yourself…a bottle of Torrontes is a great place to start 🙂 Thanks and happy holidays! I love the idea of giving gifts of cooking classes and food tours – experiences are always more memorable than things! But I do love the idea of exotic spices too – really great way to “spice up” a dish with some international flare! I love all of your suggestions though so I’m legit thinking a hamper!